A super duper session on fondant cakes decoration was held at Knowbbies on 6th Jan 2018. It was a lovely session with the students getting to learn the perfect techniques in a hands on session. The session was conducted by our trainer Priyanka who is a fondant expert. 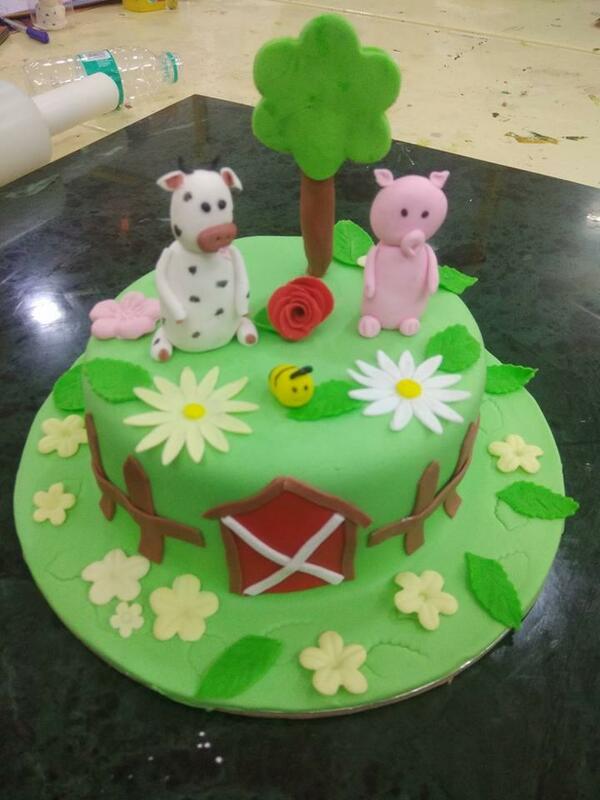 The farm themed cake saw lovely pig and cow made of fondant and the entire the Decoration as per theme was done in it. The students were super happy with the outcome and the guidance of the experienced trainer and also felt it perfect value for money as learning fondant is highly priced outside. Next session will be held next month, for details whatsapp 9657977469.